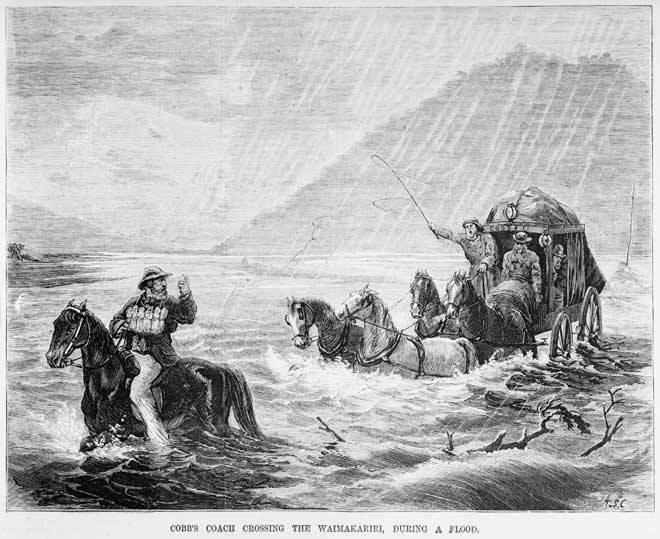 This engraving, made in 1875, shows a Cobb and Company coach crossing the Waimakariri River, Canterbury, during a flood. The ferryman, wearing a lifebelt, is showing the coachman the way. Although the horses could swim, it was not uncommon for coaches to be overturned in such crossings.